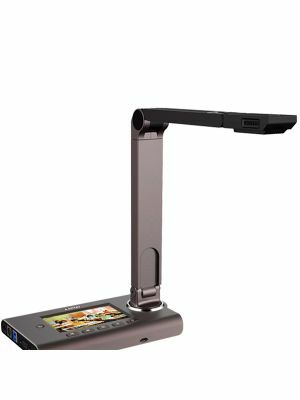 The Aver F17HD Portable FlexArm document camera provides its users with convenience of simply connecting the camera to any HDMI or VGA input output. Along with the ease of connectivity and brilliant image quality, Aver F17HD’s portable design makes it a teacher’s best friend as it can easily be transported from one classroom to another or anywhere in the room. The camera also comes equipped with a collection of software that helps teachers and students get an unmatched educational experience. The Aver F17HD features different connectivity ports such as HDMI, VGA, USB, etc. This gives users more freedom to choose the device they want to connect the camera with. 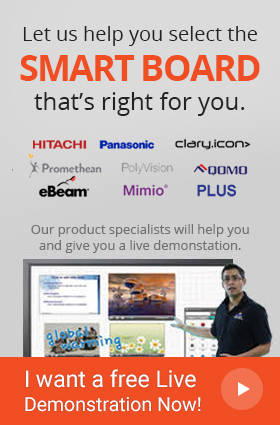 The F17HD FlexArm Document Camera features a premium quality 5MP lens with 32x zoom that records videos at 30 fps. The camera has a wide range thanks to its large shooting area and can record from various angles due to its long flexible neck. The AVer F17HD Document Camera takes stunning images and records unparalleled videos at an impressive speed. Its 32x zoom captures every detail splendidly and gives the best experience. With with the Aver F17HD document camera teachers can create, upload, and lesson plans and classroom teaching material with the help of Aver’s highly collaborative Sphere2 and ClassSend Software. 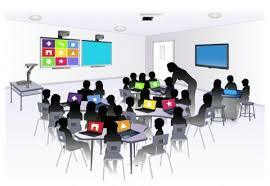 The software suite visually engages students with interactive content in lesson teaching. Sphere2 allows users to configure the software to recognize students’ devices that are equipped with the ClassSend app. Teachers can can now interactively send their content to their students’ devices, ensuring their direct participation in the classroom session. Through the ClassSend app, students are empowered to modify, annotate and transmit their work back to the teacher. Interactivity, engagement and excitement level increases immensely while delivering lectures and presentations. The Document Camera comes with its own SD Card Slot and Automatic Cloud Storage capabilities which ensure that your pictures, videos, presentations, and important data remain safe in case of any fault in the hardware. The Document Camera comes backed with a 5 – year warranty and a replacement program that shows the confidence of the manufacturers on the product’s quality. Q: How can I connect the Aver F17HD camera to my classroom’s display? 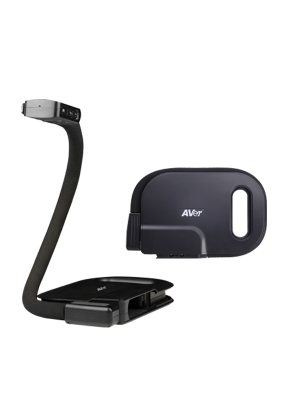 A: Yes, you can easily connect the Aver F17HD document camera with your classroom’s main display by using the video outputs on the camera. 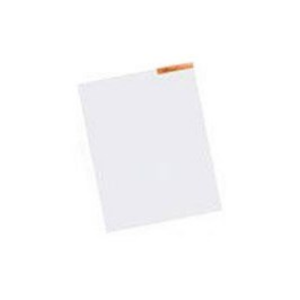 Q: Does Aver F17HD camera come with an internal microphone? A: Yes! The F17HD document camera comes with a powerful microphone that can register the audio input from a great distance. It is a great choice for recording a lesson or video conferencing. Q: Can Aver F17HD camera work in the dark? A: The Aver F17HD document camera comes with a built in LED that ensures you get the same stunning result even in a badly lit room. 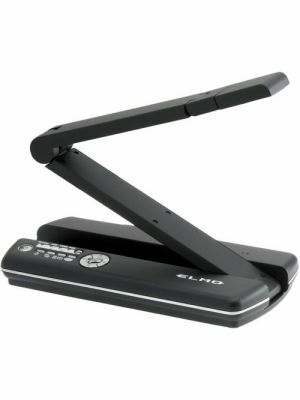 Q: Why should I choose Aver F17HD Document Camera? 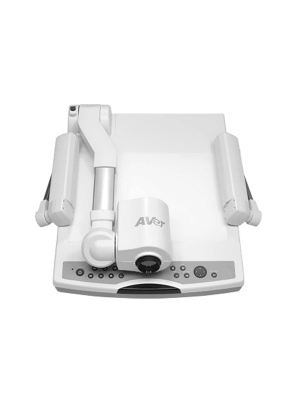 A: Aver F17HD document camera is ideal choice for your classrooms or conference room due to its myriad of features. Another reason of buying this camera is its ability of taking stunning pictures and HD videos at 1080p. It also gives complete freedom to the users and comes equipped with specifications that are more than what can be expected from a document camera. Q: Can I save my photos and videos without using a computer with Aver F17HD document camera? A: Yes, the F17HD document camera comes with the option of an external drive that can be used to directly save their images and videos.